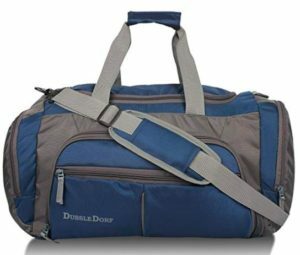 Buy Dussle Dorf Polyester 45 Liters Navy Blue and Grey Travel Duffle Bag at Rs 696 only. With extra pockets for better organization, this duffle bag is all you need. Order now before the product goes out of stock. How to Buy Dussle Dorf Polyester 45 Liters Navy Blue and Grey Travel Duffle Bag at Rs 696 only?